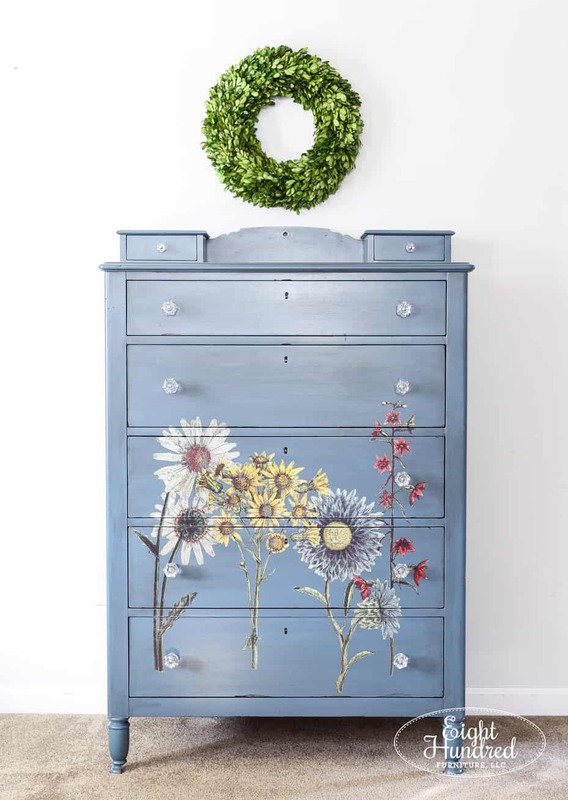 I’m so excited to be able to share the reveal of my Iron Orchid Wildflower Dresser with all of you this evening! If you need to catch up on all of the posts leading up to this one, you can do so below. So without further delay, here’s the finished piece! As I was getting this piece ready to stage, I decided not to put too many props around it. This dresser is special all by itself, so I kept things super simple with a preserved boxwood wreath. You guys, this dresser is probably one of my favorite pieces I’ve ever created. 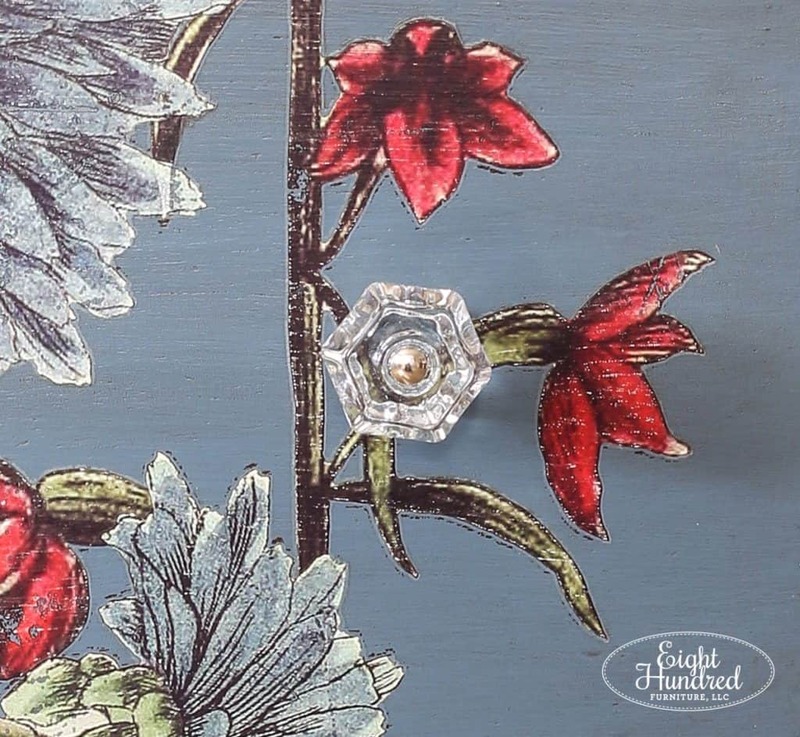 I absolutely love how the Wildflower Botanical Decor Transfer from Iron Orchid Designs looks on this piece! 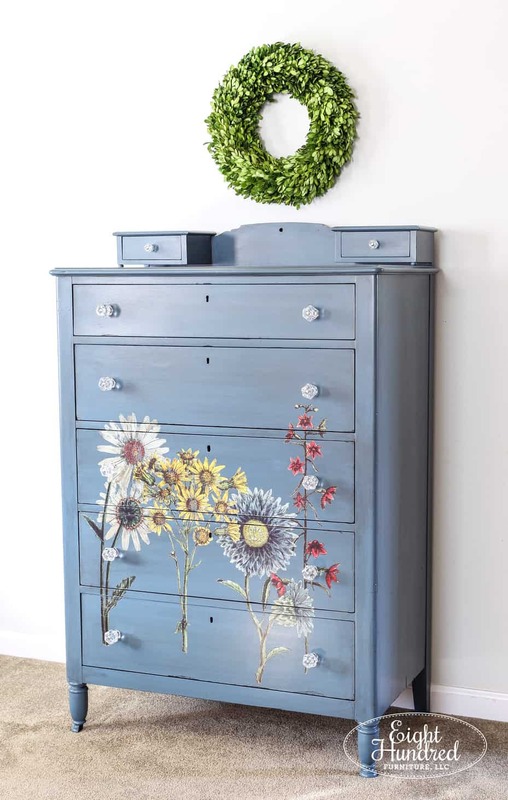 The flowers on it are so vibrant and they look great up against the custom General Finishes Milk Paint color I mixed up. 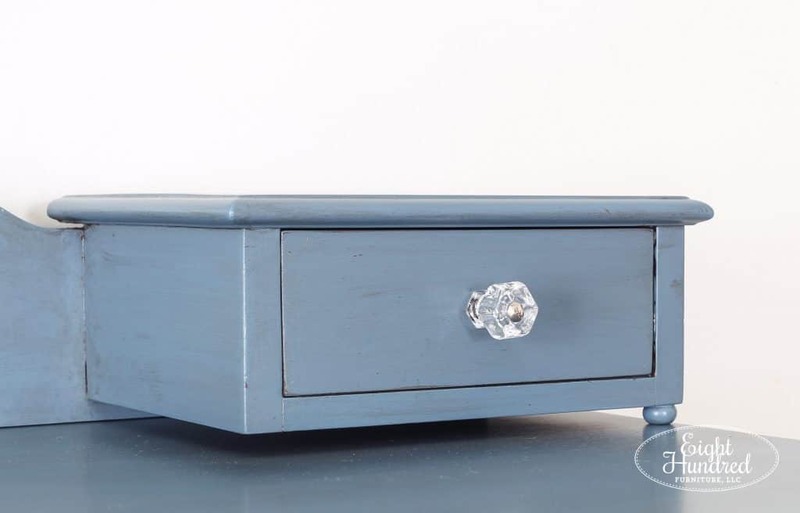 In case you missed my formula, I blended Coastal Blue, Driftwood and Persian Blue. I apologize but I don’t have the exact ratios to share with all of you. I mixed whatever was left in each of my cans and made a new beautiful Cornflower Blue. 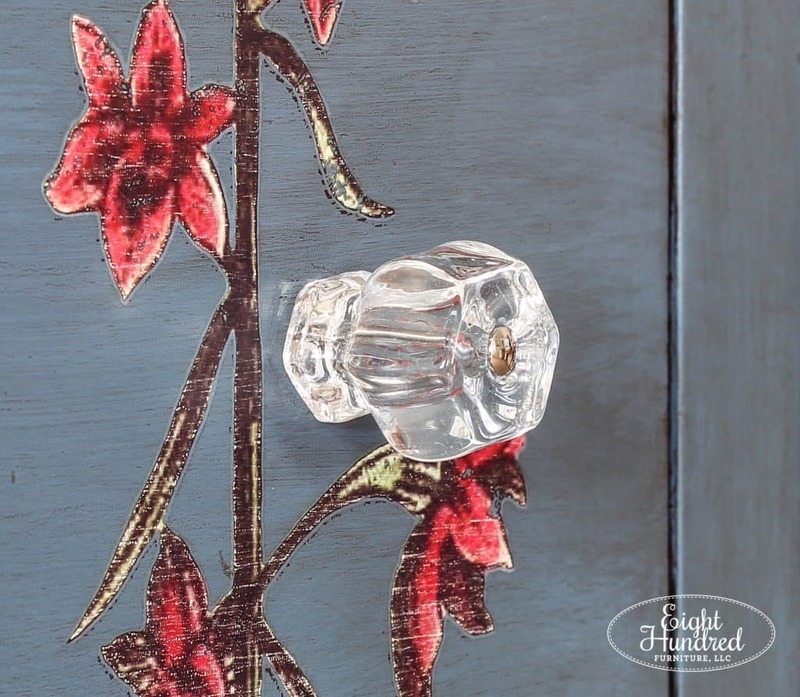 The dresser needed 12 new knobs, so I turned to D.Lawless and ordered my favorite clear depression glass knobs. 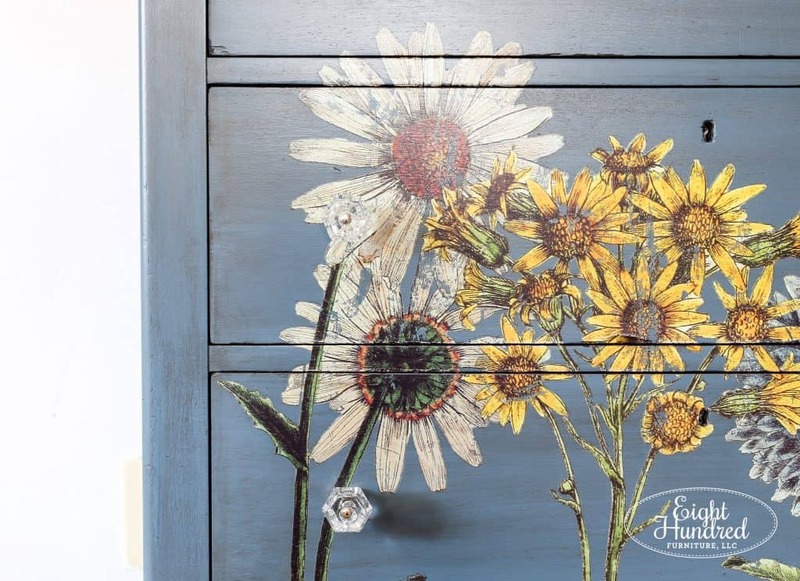 They fit with the design of the dresser and they allow you to appreciate its color and the flower transfer without being too obtrusive. I got a smaller pair for the glove boxes on the top. This dresser is incredible. It’s super heavy because it’s made from walnut. 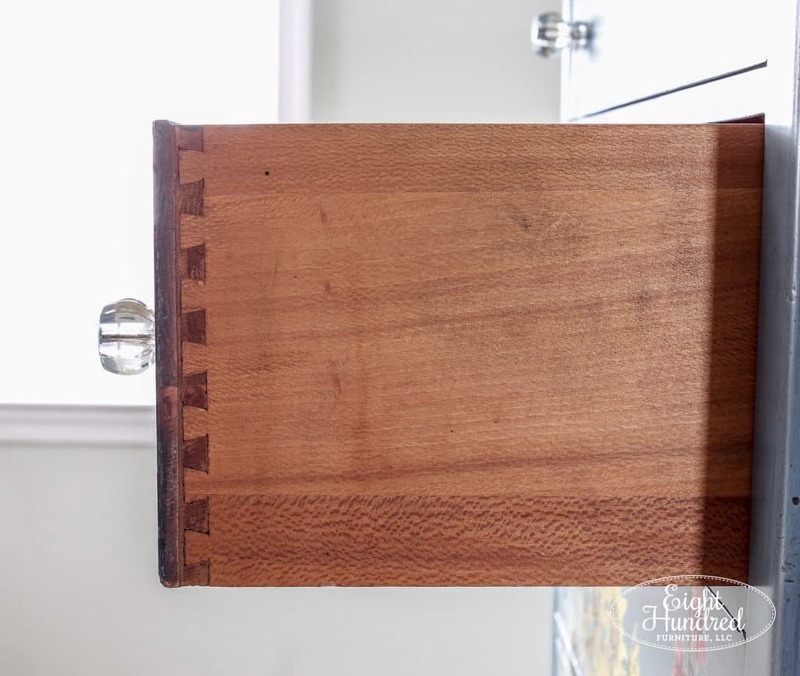 It’s got dovetailed drawers and it’s clean inside. 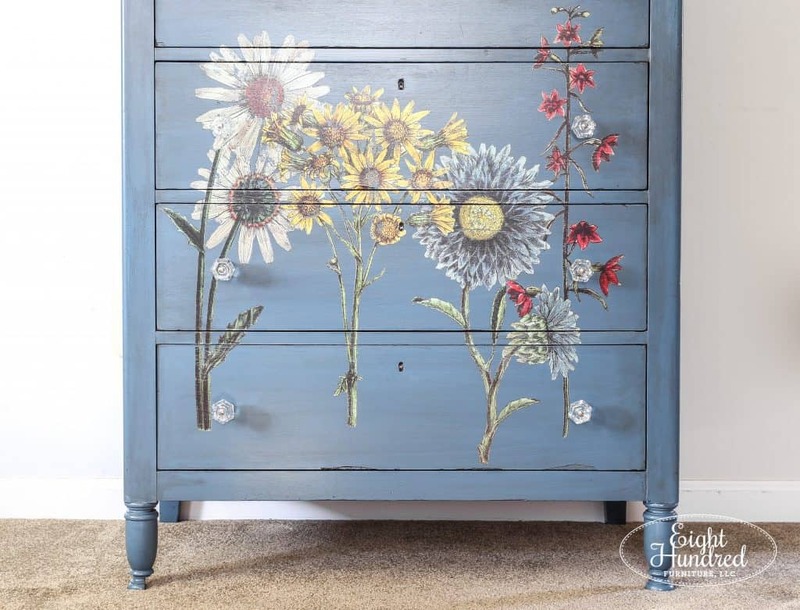 You can find this dresser in my room at Homestead Studios this weekend. It’s available for $485 plus tax and it measures 51.5 inches tall, 20 inches deep and 34 inches wide. 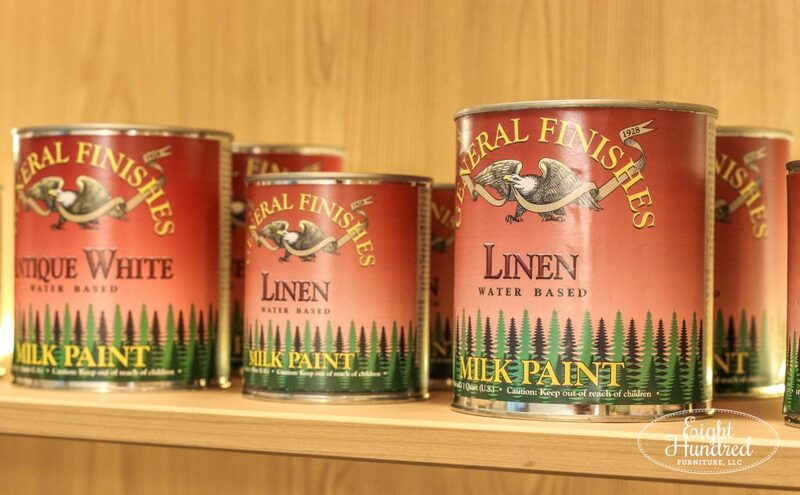 You can also purchase all of the General Finishes products that I used to refinish this dresser from my display at Homestead Studios and Morgantown Market. Here is a quick shopping list!